Ericsson has announced that it will be launching an IoT Accelerator Marketplace aimed at assisting in addressing the need for partnerships in the digital ecosystem. This is with a view of benefitting developers as well as service providers. Application partner and application developers will for instance be able to link with service providers via one platform. Settlement and monetization capabilities will also be included and this is expected to facilitate billing and monetization across the ecosystem. Service providers will on the other hand be able to locate Internet of Things apps which they can offer to enterprise customers. This will shorten the time enterprise customers take to get their hands on new offerings. “The launch of IoT Accelerator Marketplace will unlock the potential for different players in the value chain to deliver value. 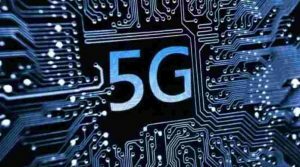 It is another stepping stone to make 5G a reality by enabling massive adoption of massive IoT,” Ericsson’s Head of IoT, Jeff Travers, said. Application developers will also benefit by having a go-to-market where they will expose their offerings to customers across the globe. Consequently these developers will be able to broaden their enterprises while simultaneously developing applications which are based on wireless connectivity APIs that also come with added value aimed at businesses. This added value includes superior battery life handling, ubiquitous cellular coverage including indoor utilization, higher security, subscription onboarding and so on. The launch of the IoT Accelerator Marketplace comes in the wake of Ericsson and Swiss wireless operator Swisscom partnering on a network slicing project for both 4G and 5G with a view to investigation how critical communications such as public safety communications may find the technology useful. The specific tests the two firms are conducting are RAN slicing and quality of service. Additionally the core network functionality of Ericsson is being tested to find out if dedicated network slices can be configured for critical communications. Swisscom and Ericsson will also apply the tests in finding other use cases for network slicing and this includes manufacturing and Internet of Things. Despite the fact that the prominence of network slicing has risen with the deployment of 5G networks, it can also be done with 4G. As the name suggest it involves a network being ‘sliced’ into various virtual networks before being optimized for a particular vertical application. With network slicing network functions virtualization and software-defined networking capabilities are used. The concept allows wireless operators to prioritize traffic and consequently enhance security in a particular slice.